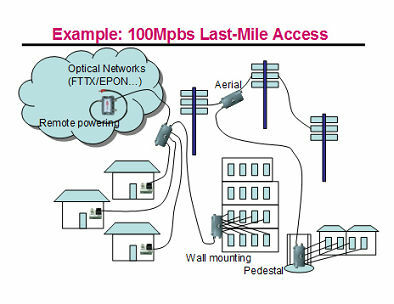 Ethernet has been applied on many outdoor environments, such as IP camera surveillance, factory control or data transmission, broadband last mile access, electrical power distribution,campus data connection, and traffic light control. 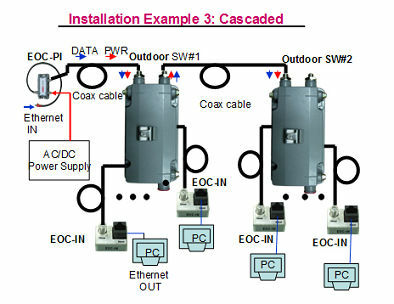 In order to use Ethernet outdoors,we have the following features required: to fit wide temperature change, water-proof, EMI or surge protected, corrosion reliability, anti-dust, remote powering, transmission distance, and most importantly, cost-effective.Considering all of the above, we utilize “Coax” as the media that has been used for outdoor field for over 50 years.Plus our unique “EOC”- “Ethernet over coax” technique, we can use coaxial cable and its related components as outdoor device. 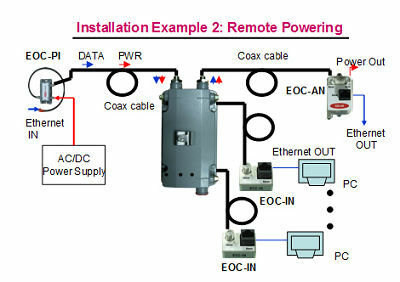 By using the unique “Ethernet over Coax” (EOC) technique,we have the innovative system integrated equipment: Outdoor Ethernet Switch. 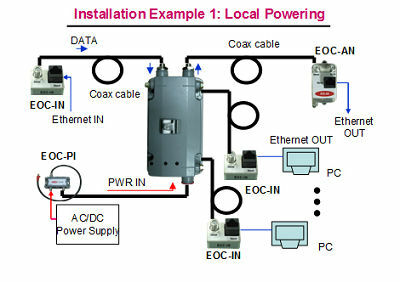 This switch can provide transmission distance much longer than original Ethernet limitation. To apply in the outdoor environment, the enclosure has a compact,water-proof,dust-tight and surge protection designs. This outdoor Ethernet switch with advanced feature is very suitable to outdoor Ethernet networks. To be remotely powered, set “IN” port powering through. Connect 300m 5c coax cable in “IN” port and use 48 VDC switching power supply as source.Current ~200mA, the voltage drop~10V. 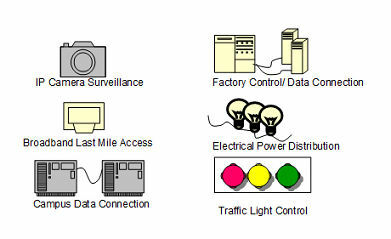 Our outdoor Ethernet switch can work in the range of 36~96 V. Therefore, it can work by 300 m remote powering. To be cascaded or increase power to pump remote device, our wide range design for operation voltage allows more power out and cascading capability. Increase the voltage of switching power supply, and you can cascade switch and give more power to remote side by increasing operation voltage to 96V. The drop loss will become lower. 96W output is available for current design. Besides, the switch is Aerial, pedestal and wall mounting available. Also with VLAN, QOS, SNMP web management and throughput of 100Mbps/full duplex, Outdoor Ethernet Switch is going to make the breakthrough of Ethernet transmission. Copyright © 2005-2008 Cable-Vision Electronics Co., Ltd. All rights reserved. No part of this web page shall be reproduced without permission.